If you want the best, this is it. The NX Stage 1 EFI Nitrous System is the top of the line EFI power booster on the market. From the highest flowing solenoids, to the patented Shark nozzle, this system screams nothing but quality. From Audi to the 350Z, NX has a system for every EFI car in the world. Available in horsepower levels from 35-50-75 for most 4 and 6 cylinder cars, and up to 150 for 8,10, and 12 cylinder engines. 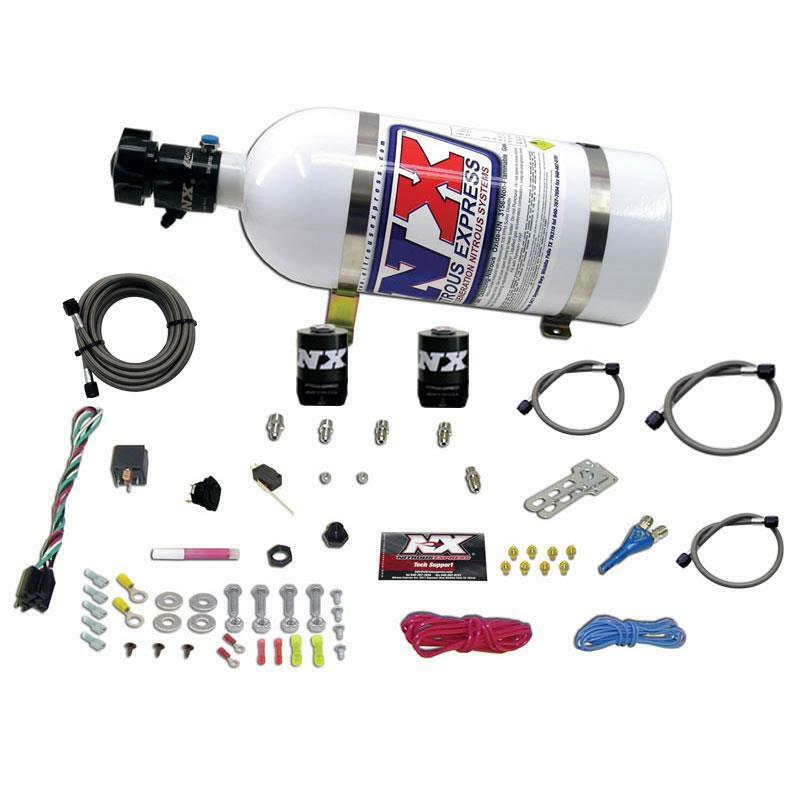 All NX EFI Stage One systems come complete with your choice of 5lb, 10lb, 15lb, or 12lb composite nitrous bottles, stainless bottle bracket, NEW Lightning solenoids, extra long stainless braided N2O line, and all necessary hardware to complete the installation.